In one weekend in late March, 76 percent of shooting victims were on the SSL and 95 percent had lengthy criminal histories. Average is about 80% of victims have criminal histories so this isn't unusual. It completely destroys the meme of 'innocent victims'. Belton police went to the family home and arrested Smith on an outstanding warrant, the paper reported. During a search they found drug paraphernalia and what appeared to be meth in two plastic bagas. Smith told detectives he smoked meth but was careful to keep it away from his children, the paper reported, citing court papers. Janeth, three other girls and a boy, all 16 and 17, were arrested after they eluded police, first in the car and then on foot, according to WSVN. Cops said the teens carjacked a vehicle that belonged to a 24-year-old student at Keiser University. The alleged victim told the station one of the teen suspects doused her with pepper spray and grabbed her hair. On some campuses, protesters have argued that black students face a greater risk of being shot with one of these weapons. At Northeastern, the acquisition of semi-automatic rifles was criticized this year by Boston police, who said that the guns are unnecessary with city police so close to campus and that officers could end up shooting each other in the confusion. They also said the use of such high-powered weapons in a crowded neighborhood raises the risk of innocent people getting hit by stray fire. "I actually don't feel as safe," said Chelsea Canedy, a junior at Northeastern who leads a student coalition opposed to the rifles. "You're seeing across the United States this militarization of many college campuses." Probably just be easier to pay criminals not to break the law anymore. At a rally, he tells off some BLM protesters. On Thursday, while Bill Clinton was giving a speech to a crowd of Hillary Clinton supporters, he was repeatedly interrupted by Black Lives Matter protesters. He responded to them, saying, "you are defending the people who killed the lives you say matter. Tell the truth." But he then handed them back afterwards and his handlers started the apologetics over him and Hillary's use of the term 'Super Predators' 20 yrs ago. Enter the Deck Box and Dragon Sheath Giveaway! 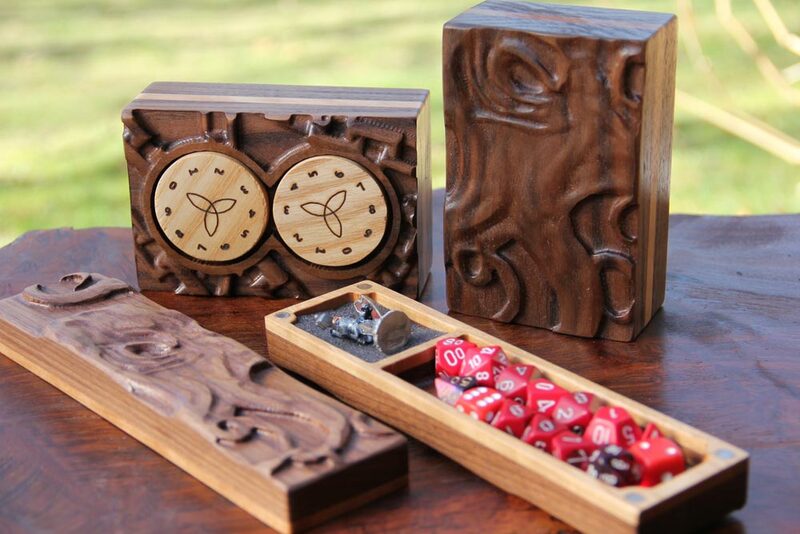 To celebrate the launch of our new deck boxes we are giving away a matching Deck Box and Dragon Sheath! Deck Box Specs: Premium Black Walnut banded with Flame Birch, Chains and Squid sculpts, double Celtic counters, and green felt. Dragon Sheath Specs: Premium Black Walnut banded with Flame Birch, Chains and Squid sculpts, Interior design B. The winner will be drawn on May 6th, good luck! 25% Off All Deck Boxes! 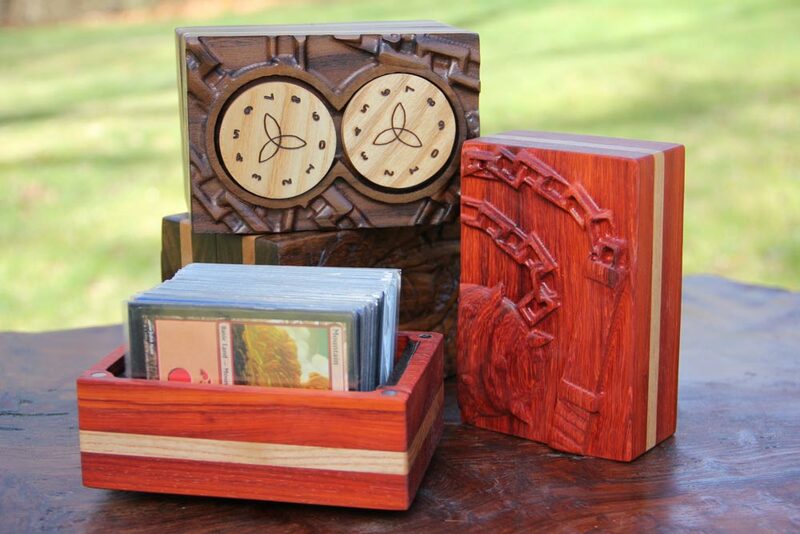 Since we enjoy giving awesome deals, we are running a 25% off sale on our redesigned Deck Boxes! With IGOLD rapidly approaching we ask our readers to direct their energy toward filing some important witness slips this weekend. Filing slips now will not only help protect and advance our rights, it will also build upon the groundwork already laid for a successful Illinois Gun Owners' Lobby Day this Wednesday. with special instructions on how to file opposition to both. The first hearings are scheduled Monday, 4/4, so don't delay! value "Original Bill". Indicate your postition by selecting the "Proponent" or "Opponent" radio button. *For both dates click the link, scroll down to Section III and click "Add Position". Use the drop down to change the second Description line to HCA1. Choose "Opponent" for both lines ("Original Bill" and "HCA1"). Then "Create" your slip.